Today, I share one of the first posts I ever wrote on Mommy Evolution about Sensory Processing Disorder for our Voices of SPD series. It scared the bejesus out of me to write it… to reveal my child has Sensory Processing Disorder… but write it I did. I was absolutely compelled to share my feelings and let other parents know they weren’t alone. This post came out a number of years ago… and it was a serious leap for me. 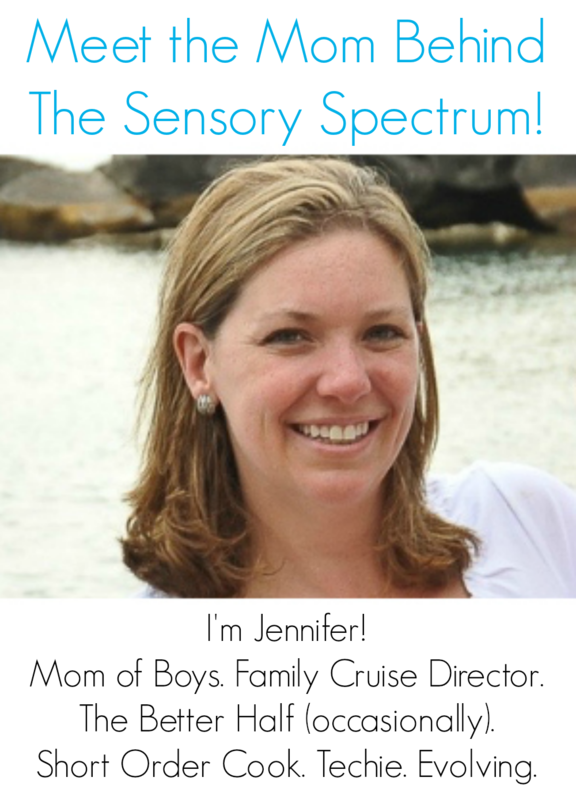 Shortly afterward, I start The Sensory Spectrum because I wanted to help other parents who probably felt the same way I did and were experiencing the same things I had discovered. If you have you own stories to share, then share them on The Sensory Spectrum through our Voices of SPD series. For the first year we knew my son had Sensory Processing Disorder, we didn’t exactly hide it but I didn’t talk about it publicly. Then, once I started letting friends know about it, I decided it was better to be honest than to try to hide the fact that we were facing SPD as a family. So why did I feel so nauseous when I announced on the Web that my sons has SPD? It really made me think about how often SPD is something that families deal with in silence. It’s something that stays within our doors. It’s something we don’t feel like they can talk about publicly. Based on my own experience, people often just don’t understand what I’m talking about, or they look at me as if I’m crazy. Am I making this up? Am I just some hovering mother who’s overreactive? Even though I knew the truth in my heart, these questions haunted me. I actually grew up with a chronic disease — allergies. Now, when I tell people I have severe allergies, a lot of people scoff at the fact that it may have some kind of ongoing impact on my life. Most people who have allergies get the sniffles around hay fever time, but they’ve never been hospitalized. It makes me so frustrated I want to scream the rooftops that my issues are real. Just like I want to scream and fight to make folks understand that my son’s problems are actual. 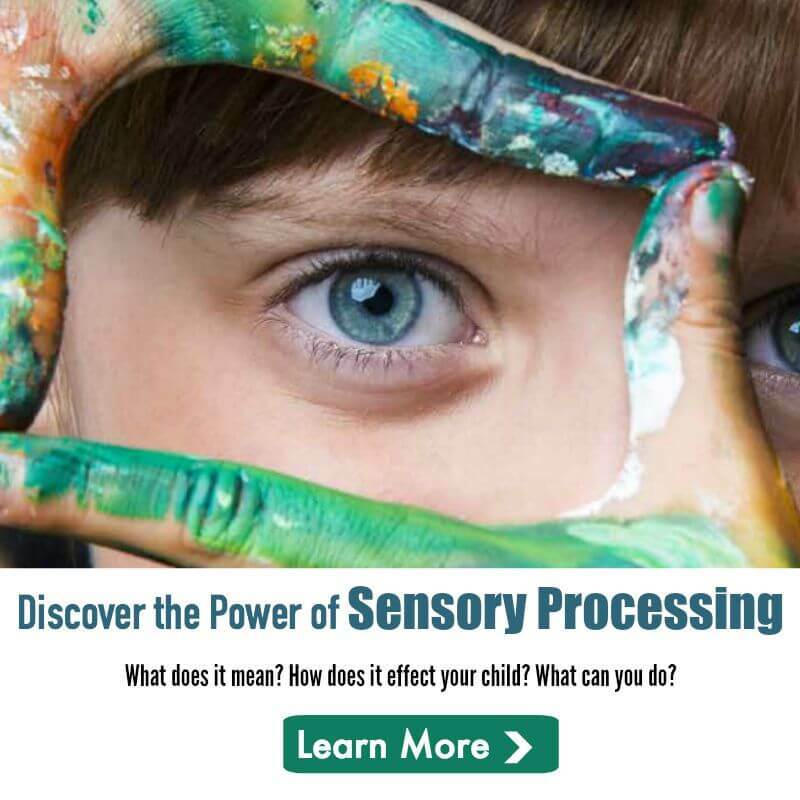 We often don’t think of the term chronic when we talk about sensory processing disorder. But it is. Chronic illnesses really do take a toll on everyone. They can get better over time, and that’s certainly what I’ve watched with my son after a lot of hard work on all of our parts. He has gone from hitting, biting, head butting, throwing and screeching on a daily basis to being a much more calm and in-control kid. However, the moment I let my guard down about SPD or forget about it for a moment, it still rears its ugly head. To much of the outside world, my son seems just fine. He’s social. He can talk to people. He laughs. He plays on the playground. So what is there to see that’s wrong with him? What they don’t see is the child who has an absolute meltdown at the thought of entering a pool that is slightly chilly, of having his body washed with a wash cloth of having pajamas askew — making him burst right out into tears. Sensory Processing Disorder is the elephant in the room. Coming out and declaring it on the Internet made me nauseous because I’m afraid of the judgements I might receive from other people having been judged my whole life for having an “invisible” chronic illness. There have to be thousands of other mothers who worry about the judgements they will receive. We all ask ourselves, should we tell our parents? Should we tell the school? Should we tell our friends? But only by talking about these things can we actually take away the stigma that (1) we carry within ourselves and (2) other people place on sensory issues. Whether it’s SPD, Aspergers or Autism, just because you can’t see a cast or a wheelchair doesn’t mean this neurological issue isn’t there. It’s been heartbreaking when people question what’s going on with my son. When they question what kind of problems could he possibly have because there isn’t some waving red flag. Just like it’s crushing for me when people question me about my allergies. I don’t enjoy getting sick all the time. I don’t enjoy feeling rundown. I don’t enjoy having to take powerful steroids to manage the inflammation in hopes of skirting yet another sinus infection. What must it be like to be my son? I have to image he doesn’t enjoy the feeling of that cool water on his skin. He doesn’t enjoy having people randomly come up and touch him or being told to hug them. He doesn’t enjoy the unbelievably loud noises in public restrooms that make his ears feel like they’re going to bleed. There are lot of sensory things that he not only doesn’t enjoy but experiences as painful. One thing he should be able to enjoy are people believing him, people understanding him, and people not questioning how he is feeling, because his feelings and perceptions are real. When I put this on the web, I understood my worries don’t have to do with him; they have to with me. And so, as a mom, I’m still working on that. I’m still working on being truly authentic not just within myself but outside of myself with other people. Just like I pulled off the band-aide yesterday and told the world that my son has SPD, I’m going to quell the fears I have. Because to be honest it doesn’t matter if other people judge me. It doesn’t matter if other folks don’t believe me. What matters is that I believe my son, and I’m willing to fight for him. This post originally appeared on Mommy Evolution. You can read more from Jennifer there. « Why Is My Child Sensitive To Clothing? I have an 8 year old boy with SPD and after a year and a half of OT we are making progress and I am happy but in reading your post I thought you are so right I dont think anyone really believes me and no one really understands. Usually he saves he meltdowns for outside of school and no one sees him biting and crying and not coping. Everything you said in your article is right and it’s only by speaking out can more people begin to understand. I think you are very brave. Thank you. Thanks, Sarah. I still find it frustrating that people just don’t get it. But if they aren’t living it, they just aren’t able to make the leap to really understand what’s going on. Thank you for your comment. I really don’t think people can even fathom what a real sensory meltdown is like and how emotionally draining and traumatic it is. They often mistake the tantrums and tired fits of their own kids as the same as a sensory meltdown. But also, how can we possibly expect people to understand when they haven’t experienced it themselves? I’m glad to hear your daughter is doing better. Occupational therapy did a world of wonders for my sons. My 9 year old son can not tolerate younger kids ?. We went for a farm visit last weekend and a few toddlers in the audience were noisy while he was trying to listen to the lady talking so he just had a massive meltdown and we had to leave. In a cinema we will have to move if kids behind are talking. So hard!!! My son is now 20 years old and while he has learned to cope, and maybe grow out of many of the SPD problems, there are residual issues. Primarily, he is overly sensitive (emotionally). This makes it so hard to give him any kind of feedback. He has yet to get a job. He is overwhelmed by complex tasks. I am just wondering if anyone out there also has a young adult who when through childhood with SPD?? ?